Our unique Pes Cavus Tri-lam design results in a flexible medial longitudinal arch, strong lateral column and a high impact core. 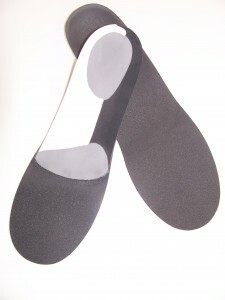 The strategic combination provides the shock absorption and gentle support needed for the high arched foot without creating additional inversion, typical to the supinated foot type. The medial arch is medium duromter EVA, the lateral arch is a firm EVA while the superior shell layer is a soft EVA that aids in shock absorption as well as create a naturally shaped intrinsic heel cushion. Consider the truly unique “Pes Cavus” orthotic as an option the next time you encounter this challenging foot type! If you would like a sample of this innovative orthosis please contact us.